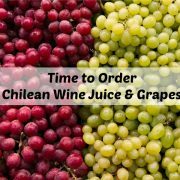 For this year’s spring wine season, A&M is now offering Chilean Juice and Grapes! It’s time to order your Reserve & Ultra Reserve Wine Juice Buckets and Wine Grapes. Reserve Juice & Grapes are sourced from Maipo and Colchagua Valley. Our new supplier also offers a higher quality of juice and grapes: Ultra Reserve. The Ultra Reserve items are sourced from a single vineyard, including Apalta, Alto Maipo, Aconcagua and Leyda. Here’s a message from the Chilean growers: This is an atypical season. Higher temperatures than normal during December and January have resulted in an earlier and homogeneous season. The grape size is smaller than normal. Sugars are advanced per normal seasons. With this smaller harvest and almost no rain during the growing season, we can expect a superior quality juice to produce a fine wine. 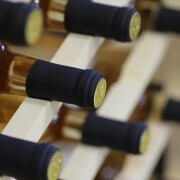 All wine juice and wine grape orders must be paid in full on the date of your order. All orders & payments will be made directly to A&M either in our store via cash, check or credit card, or over the phone via credit card. Orders must be placed by Saturday, 4/15/17, 6pm. We expect to receive orders the last week of April. Once notified that your order is in, your order must be picked up within 3 business days. If you have questions or need information, please call us at 724.222.WINE or email us at amwinesupply@gmail.com. Thank you. For this year’s fall wine season, A&M is thrilled to announce our new product line: Regina Wine Juice Buckets and hand selected Tri-Boro Wine Grapes! Regina juice buckets are the highest quality juice available to the home winemaker. Made with fresh pressed wine grapes, these juices are not from concentrate, and are never watered down. 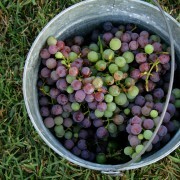 Tri-Boro Grapes are hand selected from vineyards throughout California. PLEASE NOTE: All wine juice and wine grape orders must be paid in full on the date of your order. All orders & payments will be made directly to A&M either in our store via cash, check or credit card, or over the phone via credit card. Once notified that your order is in, your order must be picked up within 3 business days. Welcome fall with our friends from Off The Wall Arts! We will be painting a custom made distressed sign with a gorgeous fall design, which can be customized. Choose your own colors, add your family name, make it your own! 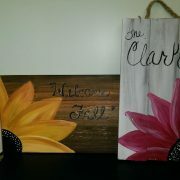 $40/person includes the wood sign, all painting supplies, a wine tasting, a glass of wine & light snacks. Reservations required. 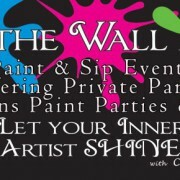 Call 724-222-WINE, or register online at this link: http://www.localwineevents.com/events/detail/648464. Start the weekend with a glass of wine or wine slushie & a snack! Join us on Friday, 6/10, 5-7pm. Open until 7pm. Serving appetizers from 5-7pm. Great Date Night or Girls Night Out!! Dads are awesome. Their Father’s Day gifts should be too. 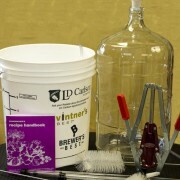 Give Dad a new hobby – making wine or beer! Mention DAD’s DAY to take advantage of these special offers! Shop A&M’s Father’s Day Sale now through Saturday 6/18. 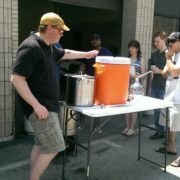 Visit us in downtown Washington Tuesday – Friday 11am-6pm, Saturday 10am-5pm. https://amwinesupplies.com/wp-content/uploads/2016/06/Wine-starter-kits.jpg 1024 683 AngeJohn /wp-content/uploads/2016/01/am2.png AngeJohn2016-06-05 22:58:102017-08-22 12:35:28Father's Day Sale! We just received the list from Albano’s of available juice & grapes from Chile and grapes from South Africa. If you would like to receive the complete list of items available and prices, EMAIL US and we will gladly send you the file (in PDF format).